Eco Climate Control is easy to install and to configure. Communication between the devices is provided by a proven wireless technology. Individual channel buttons, each equipped with its own LED, allow for comfortable addressing, which can be tested by a single push. The controller is designed to meet any possible requirements. However, carefully chosen factory settings minimise commissioning usually to a comfortable plug-and-play. If required, there are many additional functions that are easy to configure. 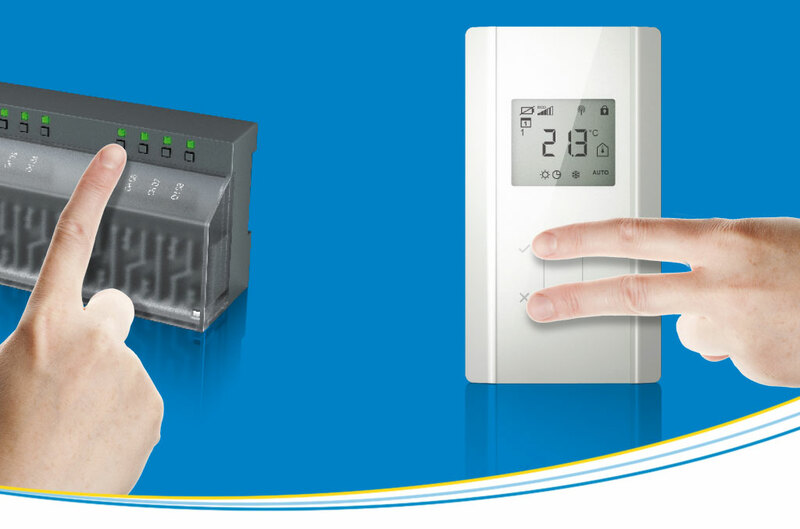 Intelligent comfort with easy and carefree installation and commissioning.